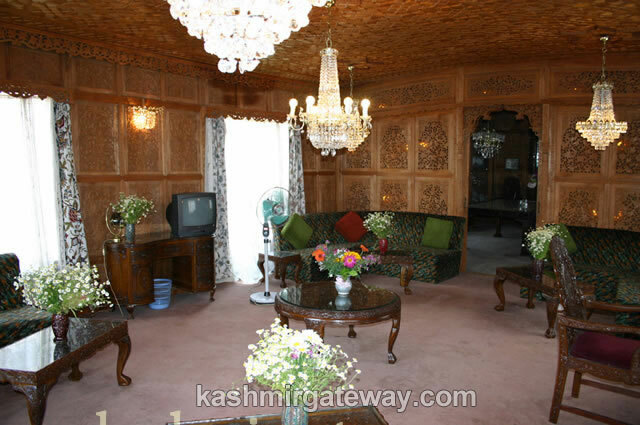 Luxurious hotels are available throughout the world, but houseboat accommodation in the beautiful vale of Kashmir offers a unique and unforgettable experience. You enjoy all the conveniences of a luxury hotel. 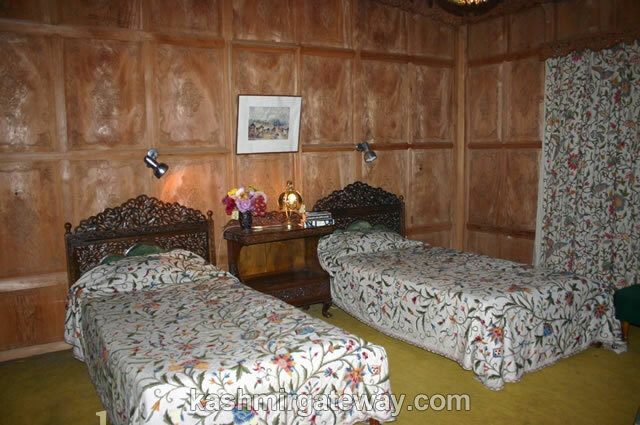 These are made out of deodar wood (a local cedar), which are as long as 175 feet and over 18 feet wide. 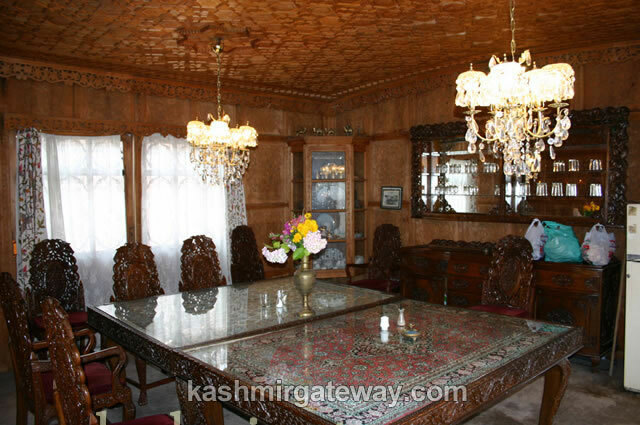 Each houseboat is decorated fancifully and tastefully with beautiful Kashmir handicrafts, such as intricate hand made walnut wood furniture, carpets, draperies etc. Each houseboat consists of a living room, dining room, several bed rooms all with attached modern bathrooms, with fascinating tongued and grooved fir ceilings, a veranda, pantry and sun deck. 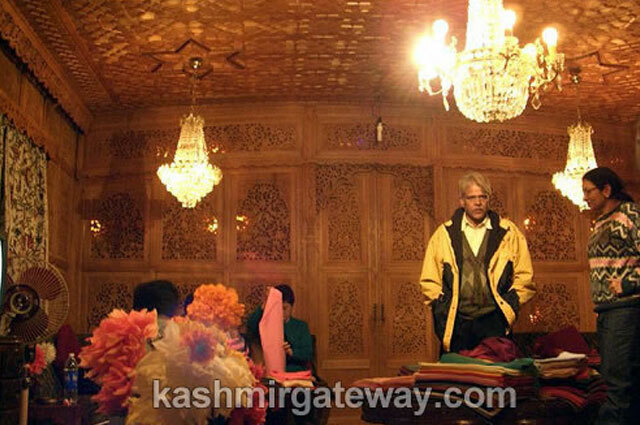 There are always several houseboys at disposal of the clients for personalized service and also delicious Kashmiri, Indian and continental food is served on board. Houseboats mostly moor on Dal-Lake. 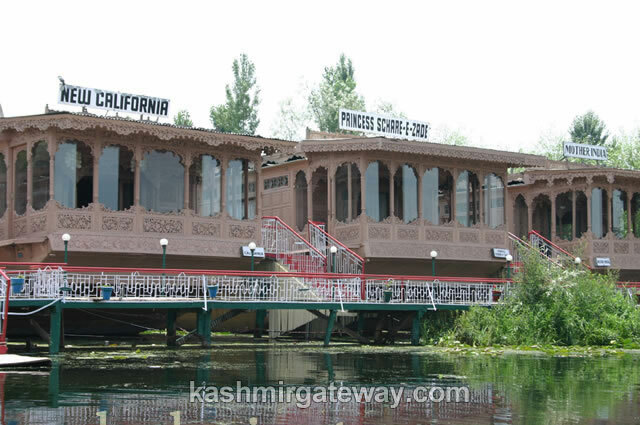 The best & most luxurious group of houseboats which we always for our clients is our own California Group on Dal Lake.